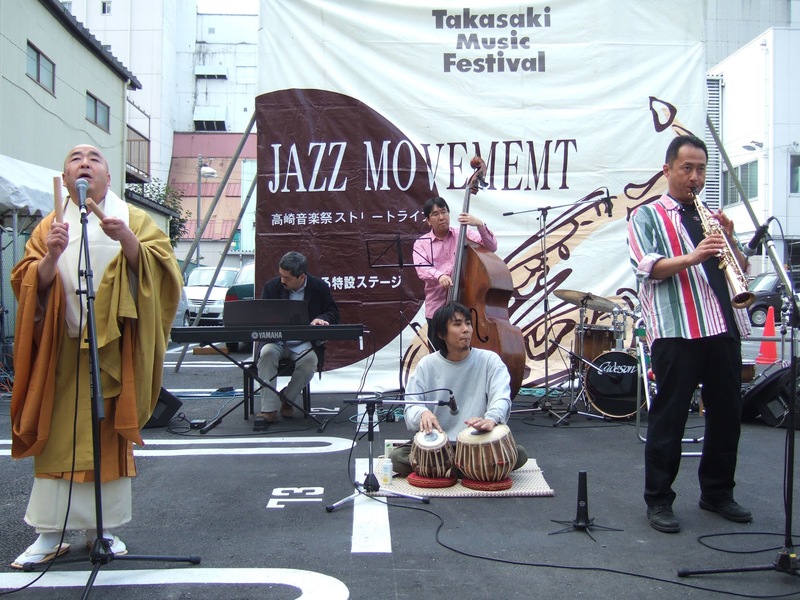 From around 2010 I began to get into classical meetings with improvisation. Since then, I had plenty of performance using Full Concert Grand Piano at the concert hall. Unexpectedly I have a warm welcome from classical people, and I feel that I opened the door of another world. As a junior high school student classic dropout group, I still played the piano which I did not understand as long as I liked the piano for hours. When I was a high school student, the performance of Keith heard by chance on the AM radio was decisive. However, at that time it was not a thing to tell people, but when a sound sounded around it could not be done. When you notice it, saliva has appeared ... something like a drug in the brain. I do not believe that this type of music is in front of people, and at classical meetings after ten years. I am not good at listening to improvisation by others. This is something like excretion (sorry) that something comes out of the body. I think that it will be painful for those who are listening. However, when I upload it to Youtube, it is pleasant that comments like "I found the alien" from the back of the Earth sometimes come. Impromptu playing depends heavily on the piano, the "feel" of the performance is determined by the piano and the hall. After deciding only the first "landscape" or "color", it will develop instantaneously and instantaneously reacting to the sounds that I have made. Ideal state that the hand does not think freely by moving freely. If you are in good condition you feel like you are bird's-eye view from behind 1 m away from the body, sometimes fighting, frequent crashes, occasional bombing. It depends on your physical condition. So tomorrow is improvisation for the first time in half a year. 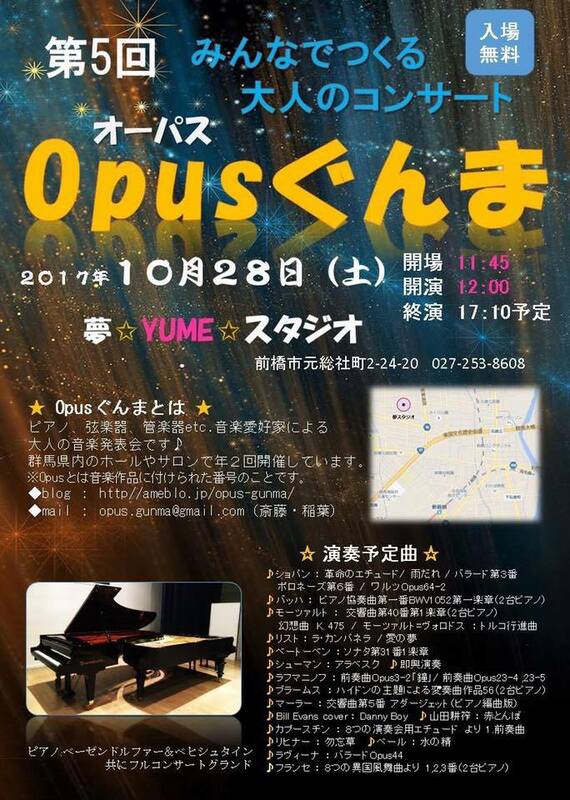 The 5th Opus Gunma 10/28 (Sat) 1200 ~ 1700 Maebashi / Yume Studio This is around midday around 14 o'clock. Finally let's say "charm of an adult piano" is "a memorial to the piano" and "a drunk drinking party".